Labour Defended Against the Claims of "Human Capital"
According to Guang-Zhen Sun, "Xenophon discussed in somewhat [sic] details the sexual division of labor within a family, a topic that was to be picked up by Thomas Hodgskin (1827) and Marxists in the 19th century and nicely integrated into a neoclassical theory of human capital in the 20th century (e.g., Becker 1985)." Except that Hodgskin's analysis of the topic was not "nicely integrated into a neoclassical theory of human capital." 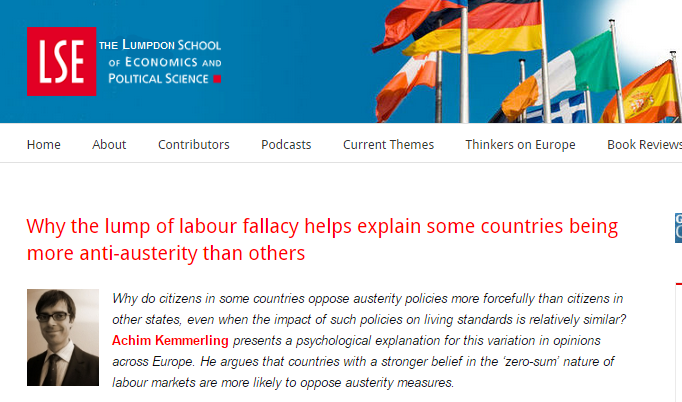 It was adamantly ignored because the point of human capital theory is to naturalize ideological claims about the utility maximizing motives of individuals and returns to factors of production attributable to their marginal contribution to production. In all the debates on the law passed during the late session of Parliament, on account of the combinations of workmen, much stress is laid on the necessity of protecting capital. What capital performs is therefore a question of considerable importance, which the author was, on this account, induced to examine. As a result of this examination, it is his opinion that all the benefits attributed to capital arise from co-existing and skilled labour. He feels himself, on this account, called on to deny that capital has any just claim to the large share of the national produce now bestowed on it. This large share he has endeavoured to show is the cause of the poverty of the labourer; and he ventures to assert that the condition of the labourer can never be permanently improved till he can refute the theory, and is determined to oppose the practice of giving nearly everything to capital. Whatever division of labour exists, and the further it is carried the more evident does this truth become, scarcely any individual completes of himself any species of produce. Almost any product of art and skill is the result of joint and combined labour. So dependent is man on man, and so much does this dependence increase as society advances, that hardly any labour of any single individual, however much it may contribute to the whole produce of society, is of the least value but as forming a part of the great social task. In the manufacture of a piece of cloth, the spinner, the weaver, the bleacher and the dyer are all different persons. All of them except the first is dependent for his supply of materials on him, and of what use would his thread be unless the others took it from him, and each performed that part of the task which is necessary to complete the cloth? Wherever the spinner purchases the cotton or wool, the price which he can obtain for his thread, over and above what he paid for the raw material, is the reward of his labour. But it is quite plain that the sum the weaver will be disposed to give for the thread will depend on his view of its utility. Wherever the division of labour is introduced, therefore, the judgment of other men intervenes before the labourer can realise his earnings, and there is no longer any thing which we can call the natural reward of individual labour. Each labourer produces only some part of a whole, and each part having no value or utility of itself, there is nothing on which the labourer can seize, and say: “This is my product, this will I keep to myself.” Between the commencement of any joint operation, such as that of making cloth, and the division of its product among the different persons whose combined exertions have produced it, the judgment of men must intervene several times, and the question is, how much of this joint product should go to each of the individuals whose united labourers produce it? Hodgskin was defending labor against the (illegitimate) claims of capital. Becker was extending the claims of capital into the household. One of these things is not like the other. Over at MaxSpeak, Sandwichman didn't get any response to his provocation that "human capital" was cooked up by the Chicago boys as a way of side-stepping the fundamental methodological critique posed by the institutional analysis in the tradition of John R. Commons and J. M. Clark, which dominated American labor economics -- and presumably labor economics journals -- in the 1940s and 50s. I particularly wanted to mention cost-shifting as an issue that "human capital" evades. This passage from The Foundations of Institutional Economics by K. William Kapp highlights some of the central motifs of institutionalism's critique of conventional theory. It also has the merit of mentioning the contribution of David Hume, among others and thus enabling the pun in the title. Institutional economists have raised some very specific objections to the dominant conventional theory; and while it is not necessary to analyze in minute detail all the well-known aspects of this critique, it will be useful to review some of the exceptions taken by representative institutionalists to certain methodological procedures of conventional economics, if for no other reason than to make clear the distinct perspective and mode of thought which have guided them from the beginning. These exceptions will illustrate clearly and fundamentally how institutionalism conceives the task of economic analysis in a radically different manner than the traditional, pure theory of valuation, value, and price. Starting with a brief outline of the evolution of the theory of value from its classical origins, we shall illustrate our thesis by brief references to the institutional critique, with particular emphasis on those elements of the critique that demonstrate the alternative perspective of the institutional approach. Both Adam Smith and David Hume made deliberate use of inherited concepts of natural order and natural law to show that the system of private enterprise, or "natural liberty," was not only theoretically conceivable and practically workable, but at the same time morally superior and more efficient in the use of given resources to the preceding mercantile system. Not only did this system tend to regulate itself, it also produced terms of exchange that possessed many, if not all, of the characteristics of a "just price," as the term was conceived and propagated by medieval thinkers; it guided labor, resources, and capital into the occupations and lines of production which corresponded to the wishes and preferences of the consumer. The labor theory of value, together with the hypothesis of maximizing behavior -- both major and central hypotheses of classical political economy -- asserted that market prices would gravitate around natural prices of goods and services at their normal level, or the level at which they covered their costs of production. Prices and wages could thus be considered just and equitable, and as such did not need to be controlled. If the labor theory of value, understood as an equilibrium, seemed to guarantee the theory of distribution, the maintenance of some form of macroeconomic balance or equilibrium was shown to be guaranteed by the principle of the conservation of purchasing power, which both Adam Smith and Jean-Baptiste Say considered self-evident. The classical theory of Smith and his successors borrowed the equilibrium concept from mechanics and supplemented its notion of natural order, natural liberty, and natural law with an increasing dependence on the quantitative, utilitarian psychology of Jeremy Bentham as a basis for its explanation of human behavior, and particularly of economic behavior. By measuring and aggregating all input and output magnitudes in terms of prices (at equilibrium levels), and by identifying the social output as the sum total of these values at market prices, the theory and system supposedly provided their own quantitative yardsticks for measuring the performance and growth of the economy over time. The economy was also said to produce the greatest sum of pleasure possible to the greatest number of people, by allowing every individual economic unit to choose goods, occupations, and investment outlets according to its own preferences. Thus, what began as an exercise in objective analysis ended in a system of normative and political conclusions, formulated without apparent or explicit value premises. This unprecedented achievement, unparalleled in any other discipline, is the outcome of a specific procedure. By first defining the scope of the analysis and postulating specific behavior patterns, the position of equilibrium is endowed with characteristics that give it the appearance of an objective optimum. Used in this fashion, the concept of equilibrium lends itself to a superficially convincing defense of the laissez-faire system of natural liberty. Philosophers, aware of the presupposition of classical and neoclassical analysis, have shown the logical limitations and weaknesses of the concept of natural order and natural law; they have demonstrated that such doctrines have been used repeatedly to support open and hidden valuations of the greatest variety and mutual incompatibility and shown that the ideology does not exist that cannot be defended by an appeal to the laws of nature. Institutional economists have developed their own analysis of the philosophical premises of classical and neoclassical economic theory into a thorough critique of their preconceptions. Veblen criticized the non-causal teleological character of the analysis in contrast to the viewpoint of modem science, and Gunnar Myrdal showed that conventional equilibrium analysis has continued a long tradition of normative (political) thinking while professing a commitment to a positive (value-free) and objective account of the natural world. In fact, both radical and conservative economists have been inclined to shape and use their economic analysis to support their political objectives and perform the logically untenable feat of arriving at normative political conclusions without explicit political premises. The political objectives of classical and neoclassical economists were those of anti-mercantilism, anti-regulation, and non-intervention. Theoretical economists appealed to natural order and natural law, based on a theory of man later reinforced by the utilitarian calculus. Aided also by the analogy to mechanics and stable equilibrium (i.e., under static conditions where no new “forces" produced changes in motion), they have developed a system of conclusions that make economic and political processes appear to work towards common goals and a maximization of "social welfare." Levels of equilibrium are so defined that processes of production and distribution, under the impulse of the forces of self-interest, tend automatically and in a self-correcting manner towards a socially desirable and optimal outcome. What was initially introduced as a simplifying assumption for the abstract representation of reality for purely analytical purposes is thus subtly converted into the idealized norm of a perfectly competitive market, providing direct criteria for economic policies without further diagnosis of the specific situation, and without explicit normative or moral value premises. This logically untenable feat of arriving at political conclusions without political premises is, however, achieved with the aid of logical fallacies, the norms and teleology derived from pre-analytical visions and ideologies have forced upon economics specious concepts, definitions, and assumptions. Thus, normative and ideological elements have shaped the concepts, language, distinctions, and modes of thinking of conventional economics. Institutional economics has made major contributions to identifying these fallacies, and in doing so has produced both a critique of conventional economic theory and a clear picture of the modern character of institutionalism itself, as a distinct approach to economic analysis. The most notable points of the institutional critique are the fallacies of the utilitarian foundations of economic theory, the fallacy of the doctrine of the sovereignty of the consumer, and the fallacy of the means-ends dichotomy. The Hamilton Project had an event to discuss the Future of Work in the Age of the Machine. Lawrence Summers was there, along with Robert Rubin, Erik Brynjolfsson and Andrew McAfee, Laura D. Tyson and David Autor. Round up the usual suspects. They didn't invite the Sandwichman. No one ever invites the Sandwichman to these events. The Hamilton Project's "framing paper" on the future of work takes its historical bearings from a fable about events that happened two centuries ago. Wouldn't it make sense to rely instead on documents from within our own lifetime? How credible are predictions about the future based on fictions about the past? 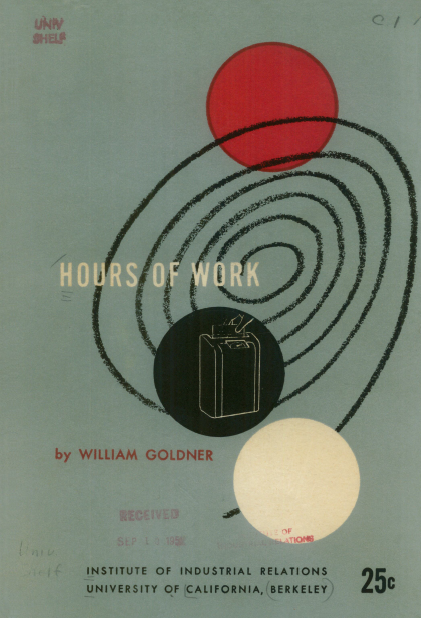 Writing in Fortune magazine 61 years ago, Daniel Seligman predicted achievement of the four-day week by 1980. He based that prediction on projection of historical trends. It didn't happen. 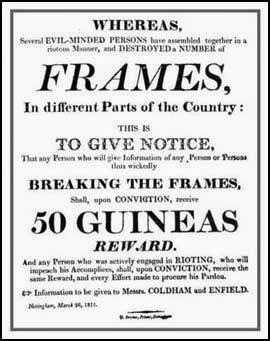 Apparently a lump of labor got in the way -- the same fixed amount of fiction that the Hamilton Project framing paper frames the Luddites of 200 years ago with. "Prediction is very difficult, especially about the future." Attribution is even harder. Niels Bohr? Yogi Berra? At least Larry Summers got it right. Scott Walker, the governor of Wisconsin, is said to be a rising contender for the Republican presidential nomination. So, on Wednesday, he did what, these days, any ambitious Republican must, and pledged allegiance to charlatans and cranks … the three most prominent supply-siders: Art Laffer (he of the curve); Larry Kudlow of CNBC; and Stephen Moore, chief economist of the Heritage Foundation. The federal budget deficit was $158 billion for fiscal year 2002. Democratic politicians blame this shortfall on the Bush tax cut of 2001. But how can they? The bulk of the reduction in personal tax rates designated in that cut do not occur until the 2004 to 2006 period. Thus far, only about 10% of the tax cut has even taken place. The real blame for the deficit can be placed on sub-par economic growth over the past two years .. As a result, actual economic performance has fallen below the long-term 3.5% historical trend line, which reflects the economy’s indisputable potential to grow. 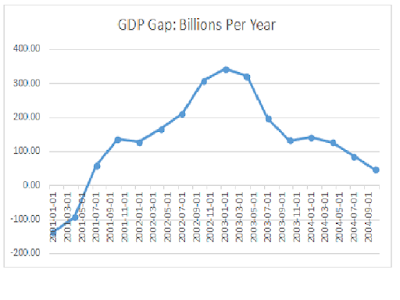 If that trend line were extended through 2002, as though no slowdown had occurred, then the potential third-quarter gross domestic product would have been $9.829 trillion. Instead, actual GDP fell $364 billion short of the mark. Cumulatively, over the past two years, the loss of potential GDP comes to $1.95 trillion — a considerable amount. If you apply the 18% economy-wide tax rate of recent years to the nearly $2 trillion loss of potential output, you get a $351 billion shortfall in tax revenues — which we’d be counting now if the economy had been running at full steam. I used to watch The Capital Gang until I could not take Robert “That’s Class Warfare” Novak lecturing to everybody that only he knew anything about economics, which he tended to get by reading Kudlow. One Saturday night in November of 2002, he claimed that if the economy were only at full employment – we would have a $190 billion surplus. 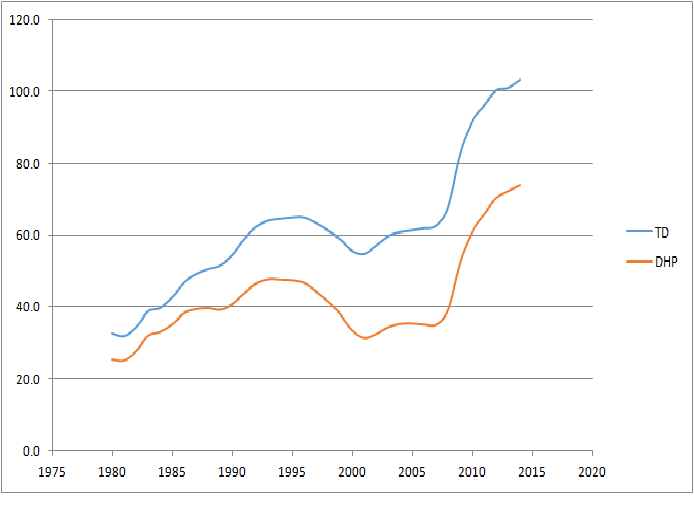 OK, I knew that despite all the Bush cheerleader from the National Review, we did have a considerable GDP gap. But this claim sounded extreme so I found Kudlow’s Deficit Dance which is where Novak got this bizarre claim. Where to begin with this? One could point out that Kudlow is using the unified budget deficit as the starting point which pulls the Social Security Trust Fund into the discussion as an offset to the larger General Fund deficit. Our first graph shows, however, that not only did total debt (TD) grow relative to GDP after both the 1981 tax cut and the 2001 tax cut but debt held by the public (DHP) also grew relative to GDP. One could also point out that potential GDP does not always grow at 3.5% per year especially when fiscal stimulus reduces national savings and investment (a topic for another post). But the real problem is that this implicit assertion that the GDP gap was $2 trillion per year is based on summing 8 observations when one should be taking the average. 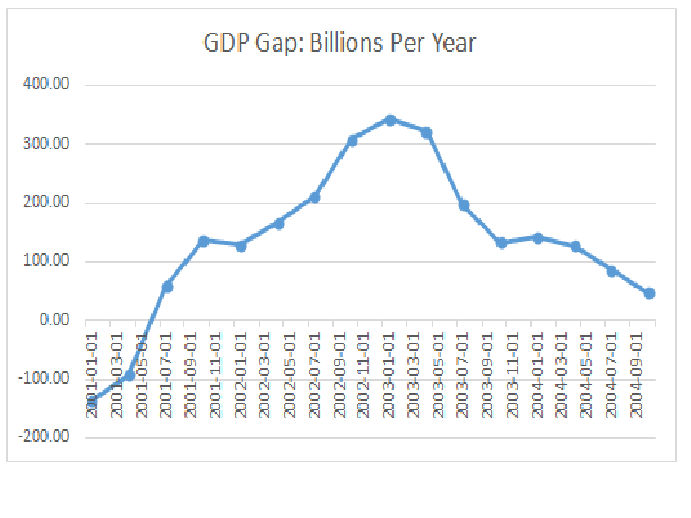 OK Kudlow said this $2 trillion was a gap over 2 years so we can blame Novak by not dividing these figures by two. But Kudlow was also using annual flow information as if it were quarterly flow information. So to correct even what he wrote – we needed to further divide his figures by four. Our second graph shows the GDP gap on an annual basis using the CBO estimate of potential GDP and they were nowhere near $1 trillion per year. Could Kudlow really be this incredibly stupid or did he know he was trying to deceive stupid readers? I guess he did because Robert Novak certainly fell for this incredibly misleading and incorrect assertion. This body released a statement about the Greek negotiations which you can read here. Simon Wren-Lewis went after it here, but I want to say a bit more. First, read the words of the Wise. Now that you’re done, consider this. Only once in this document is there even a passing reference to unemployment. There is no mention of output gaps, nor of living standards. Governments are seen strictly as borrowing and lending entities with no particular obligation other than paying their bills. In other words, macroeconomics as the rest of the world understands it is essentially absent from beginning to end. The message is: your government borrowed too much, we gave you some relief, and now you have to pay the rest. There is nothing more to discuss. Meanwhile, the document is studded with truly outlandish statements. Try this one: “For an economy in the dismal Greek situation, it essentially made no difference that it remained a member of the Eurozone – in any case, adjustment was unavoidable, and it would be painful and accompanied by strong social tensions. The adjustment process of countries that experienced debt and currency crises follows a very similar pattern. 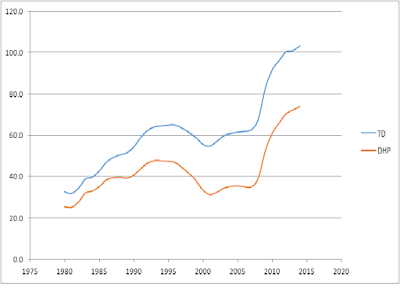 This is irrespective of whether they successfully defended a fixed exchange rate or allowed their exchange rate to devalue in order to support external economic adjustment.” This is followed by a pair of charts, the second of which compares Greece’s GDP growth (decline) to that of the Baltics, along with Korea and Thailand in the late 90s. But: (1) The Baltics were defending a fixed exchange rate and they did, and are doing, terrible. (2) The East Asian countries, which had scope for devaluation, were back in growth territory within two years, unlike Greece. (3) It’s a selective list! Where’s Argentina, for instance? Or Iceland. Oh, but right: “success” means paying your bills, and Argentina and Iceland didn't do this. About debt relief: “A debt relief of public creditors could not substantially improve the comfortable state of the Greek government, let alone be justified easily vis-à-vis its lenders.” Read that one over a few times to let it sink in. The wrap-up: “Greece is suffering very hard times. But the real tragedy is that it elected a government that threatens to exacerbate the situation and spoil the looming economic recovery, on the basis of a thoroughly wrong assessment of its current bargaining situation and the policy alternatives available for achieving sustainable growth in Greece and the Eurozone.” In short: we will be happy to see you leave the Eurozone, so we don’t have to give an inch. And there is no alternative to the current policies which, as anyone can see, have been blazingly successful at restoring growth. And these are the supreme experts. Imagine what the reasoning must look like down in the second and third tiers. Yesterday I learned that blogs in Moscow, at least one called Energy-Life, are posting a supposed report put out by the RAND Corporation on July 3, 2014 that contains a supposed plan for the Ukrainian government to reconquer eastern Ukraine by Sept. 1, impose martial law, set up internment camps, and then lift it by January 1. I shall quote from it below, detailing some horrific things that were supposed to be done according to this plan. I found it by googling "RAND report Ukraine Novorossiya, and there was a link at the second hit, a site called oped news and a post by David William Pear, who provided a link to the actual report (the link here only goes to the general site but not his report; you will have to google it as I described above to see it, sorry). His post went up on Feb. 4, 2015, and he posted another round the next day without the link, but referring to it and taking strongly pro-Russian positions. It would seem that this posting by him has received no attention here, but it is now hot stuff in Russia, and from what I hear, lots of people believe its contents. I note that while Pear mostly praised the releasing of this report, he did say, "The authenticity of this report is yet to be verified." So, I am 99.9% certain that this is something cooked up by somebody in Russia. The actual Memorandum is two pages long and addressed to nobody in particular, nor does it have a date or any names on it, although the link claimed it was issued on July 13 last year. It has an opening section and then three sections, one on "Isolation," then one on "Mop-up," then one on "Return to Normal." The flavor of it is best given by simply providing a few quotes. Its two pages do have a RAND logo on their lower right corners, although I must say that I have never seen official paper of any entity, government, corporate, academic, non-profit, whatever, that had its logo in that location on its official paper, although who knows, maybe that is how they do it at RAND. From the opening section, which describes the supposed advantages of this plan: "Activists of a pro-Russian political movement get decimated, pro-Russian voters get disorganized." This is followed by a plan to shut down both the "coal industries" and also "the Donbass industries," with this being praised as a good idea because it will reduce eastern Ukraine's dependence on natural gas (they use gas in the coal mines?). In the "Isolation" section imposing martial law is proposed and detailed. Near the end of this section it states that "use of non-conventional weapons shall not be ruled out." In the second section, description of the takeovers of individual towns contains the following tidbit: "Infantry shall move in next to relocate male adults [ages 13-60] into internment camps." Apparently all of them, no testing them for ideology or views before doing so. There is more, but you get the idea and the tone, including the rather clunky English (nothing in the future is ever "will" but "shall"). Probably the most telling detail of all that convinces me that this was indeed written by somebody in Russia (or somebody very pro-Russian, not pro-Ukrainian) is that twice it refers to "the Lugansk region." Now quite some time ago, I posted here about whether that city and its region should be spelled as "Luhansk" or "Lugansk." The former is the Ukrainian spelling, while the latter is the Russian spelling. I noted on May 1 here that the Washington Post had for a short time switched from calling it "Luhansk" in the Ukrainian way to calling it "Lugansk"in the Russian way, but only for a short while and just before May 1 it switched back to using the Ukrainian spelling of "Luhansk," which it has used ever since as has virtually every media source I have seen in the US. I seriously doubt that a report written by the RAND Corporation in early July that was supposed to be sent to the Ukrainian president would have used the Russian spelling as this one does. I think this pretty much settles it, but I shall simply add that back in July there was in fact a fairly successful campaign by the Ukrainian government to reconquer territory held by the separatists. The cities of Slovyansk and Mariupol were reconquered, the latter a port. In August, some of this territory was reconquered by the separatists, who have more recently gained more territory, and are near the port of Mariupul, which many fear they may retake. In any case, if there was anything to this plan we might have seen some of these proposals put into action. But, I am unaware of any "decimation" of activists,any use of "non-conventional weapons," any setting up of internment camps with the male adults of Slovyansk and Mariupol being put into them, and certainly no shutting down of coal mines or any other "Donbass industries." Maybe it has been going on, but nothing of the sort has been reported that I have seen, and amusingly enough even the Russian propagandists are not claiming that any of this has occurred in those areas, even as they are now touting to their population this purported plan that was to be activated last summer that urges all this awful stuff to be done. About all I can say is that it is a sign of how brainwashed current Russians are that so many apparently are believing this tripe. This is not a good sign. I have not asked the permission of Max of Maxspeak to post this, but I think there is a matter of public record that needs to be stated officially. So, the issue is that from time to time, here and there (sorry, no links), I have complained in the econoblogosphere about how one cannot access the old files of the old MaxSpeak. In its heyday the old MaxSpeak was a borderline top ten econoblog, mostly due to Max's regular, witty, and insightful posts. I was kind of the second player, with Sandwichman of this blog and others from time to time on board, including Gar Lipow, and even briefly Jason Furman, currently the Chair of the CEA, our brief nod to establishmentarianism, not to mention that even good old Dean Baker was on board for awhile before he started Beat the Press. Those were the good old days, but Max shut the show down and this blog, Econospeak, became its successor, which was 40-70 on the old Gongol rankings, which I miss, and I do not know what has replaced that. Anyway, after Max shut down the shop I complained from time to time that one could not access the old MaxSpeak files. There were a few posts of mine, with followups, that I particularly was unhappy about not being able to access or link to, and I kvetched here and there. The one that I most regretted the loss of was my post about the problems of some Kurds in Harrisonburg, VA where I live, who were being persecuted by the FBI, and due to my post on MaxSpeak, at least partly, we (a lot of other people besides me were involved with this), we managed to help save some of these guys from jail. I shoot off my mouth a lot, but saving somebody from jail is one of those few things that I can say that I am unequivocally proud of. Given the disappearance of the original posts, the only public record of any of this is at Juan Cole's site, where I provided a guest post discussing the matter (I just tried to link to the post at Informed Comment, but it did not work, but if you google, "Juan Cole Rosser Kurds," you will get it as the top hit). It is there, really. So, what happened? Max's wife had cancer, suffered, and died. This prettty much explains it. Her illness was why he shut down the old MaxSpeak. Recently he sent me an email explaining what happened to the old files of the old MaxSpeak. They existed ultimately as physical discs, and he finally told me that what happened is that he has simply lost them in all the confusion of his life assoicated with what I mentioned above. I hope that he finds them, but in the meantime, I can only say that I am sorry and sympathize. So, MaxSpeak was great, and Max is a great guy. I must say that I underatand and appreciate what has happened. I wish him the best. This is life. I hope that my learned Friend on the other side, will give me credit, that I mean to state no facts as bearing upon the prisoners at the bar, that I shall not, as I conceive, bring home to them. But I cannot help making general observations upon the subject, to draw their Lordships' attention, and yours, to the case itself. I would rather, for perspicuity's sake, go to the facts which constitute the crime, and then apply it to the prisoners. Mr. Horsfall was a man, I understand, of warm feelings*, of great and good understanding, and who saw the fallacy of these arguments; and he, perhaps imprudently (though I do not think so, for I do not think any man acts imprudently in stating his sentiments on a subject which has been under his full consideration) he, I say, stated he would support this species of machinery, because he was sure it was advantageous to the country. He was perfectly well known, in consequence of the part he has taken in reference to these disturbances; and it was proposed by some persons, that he should be taken off. * What Mr. Richardson meant by "warm feelings" is not what one might suppose. The "warmth" doesn't refer to compassion or tenderness. It alludes instead to Mr. Horsfall's taunt that he wished to "ride up to my saddle girths in Luddite blood." Actually the allegation of intellectual silliness came three decades earlier -- in the form of a pamphlet by the Lancashire magistrate, Dorning Rasbotham, Thoughts on the Use of Machines in the Cotton Manufacture. Accusing frame breakers of irrational techno-phobia became a commonplace in industrializing Britain. That way you don't have to acknowledge or deal with their grievances.The Luddite fable serves the same purpose today Opponents of austerity, pension cutbacks, neo-liberal trade policies and labor-market deregulation, along with proponents of work-time reduction can be glibly dismissed without having to acknowledge their arguments. Those lower orders are all deluded. They assume that their is only a fixed amount of work to be done. There's no point listening to their silly ideas or reasoning with them. It is an undoubted fact that machinery, as such, is not responsible for "setting free" the workman from the means of subsistence. It cheapens and increases production in that branch which it seizes on, and at first makes no change in the mass of the means of subsistence produced in other branches. Hence, after its introduction, the society possesses as much, if not more, of the necessaries of life than before, for the labourers thrown out of work; and that quite apart from the enormous share of the annual produce wasted by the non-workers. And this is the point relied on by our apologists! The contradictions and antagonisms inseparable from the capitalist employment of machinery, do not exist, they say, since they do not arise out of machinery, as such, but out of its capitalist employment! Since therefore machinery, considered alone, shortens the hours of labour, but, when in the service of capital, lengthens them; since in itself it lightens labour, but when employed by capital, heightens the intensity of labour; since in itself it is a victory of man over the forces of Nature, but in the hands of capital, makes man the slave of those forces; since in itself it increases the wealth of the producers, but in the hands of capital, makes them paupers-for all these reasons and others besides, says the bourgeois economist without more ado, it is clear as noon-day that all these contradictions are a mere semblance of the reality, and that, as a matter of fact, they have neither an actual nor a theoretical existence. Thus he saves himself from all further puzzling of the brain, and what is more, implicitly declares his opponent to be stupid enough to contend against, not the capitalistic employment of machinery, but machinery itself. No doubt he is far from denying that temporary inconvenience may result from the capitalist use of machinery. But where is the medal without its reverse! Any employment of machinery, except by capital, is to him an impossibility. Exploitation of the workman by the machine is therefore, with him, identical with exploitation of the machine by the workman. Whoever, therefore, exposes the real state of things in the capitalistic employment of machinery, is against its employment in any way, and is an enemy of social progress! Exactly the reasoning of the celebrated Bill Sykes [the villain from Dickens's Oliver Twist]. "Gentlemen of the jury, no doubt the throat of this commercial traveller has been cut. But that is not my fault, it is the fault of the knife. Must we, for such a temporary inconvenience, abolish the use of the knife? Only consider! where would agriculture and trade be without the knife? Is it not as salutary in surgery, as it is knowing in anatomy? And in addition a willing help at the festive board? If you abolish the knife — you hurl us back into the depths of barbarism." 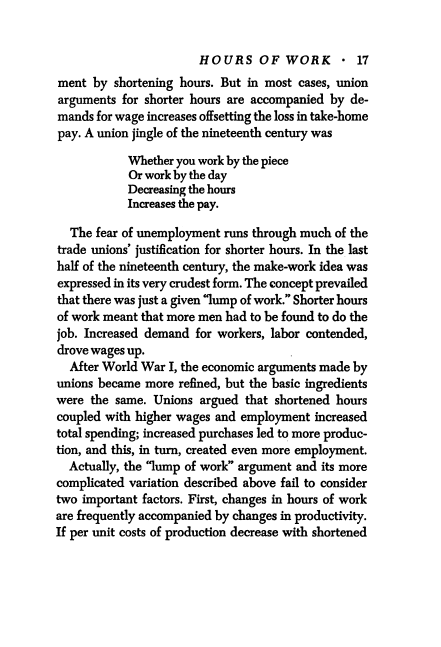 The Marshalls' second point was that "it is at least possible that further reductions in the work week below forty hours may not have as stimulating an effect on productivity as previous reductions seem to have had." O.K. Outcomes in the future may be different from those in the past. That sounds reasonable. But shouldn't the same reservation apply then to other new modes of economy -- such as the introduction of new machinery? The principle of economy has to apply in the same way and to the same extent whether productivity gains result from new machinery or shorter hours. If productivity gains from new machinery create more demand for labor, then productivity gains from shorter hours create more demand for labor. If future results for shorter hours may be different from past results, then future results for new machinery may be different from past results. Applying different standards to the two modes of economy is "bargaining in bad faith." How many times would you suppose fallacy claimants have responded to the rebuttals from Beardsley, Pigou or Dobb? Did you guess a total of zero? 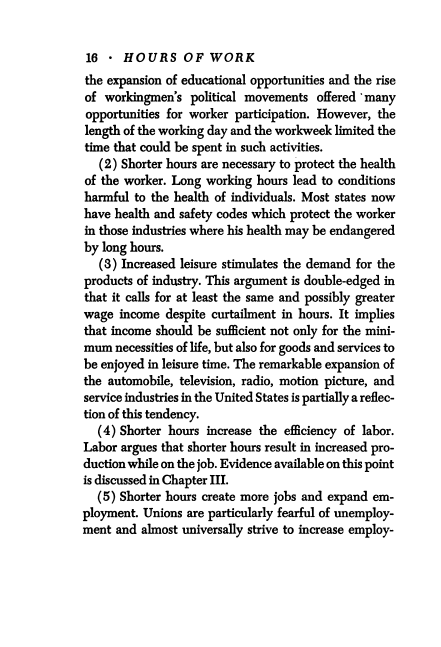 Well, here is yet another unanswered rebuttal to the bad faith lump-of-labor fallacy claim: Howard G. Foster, "Unemployment and Shorter Hours." 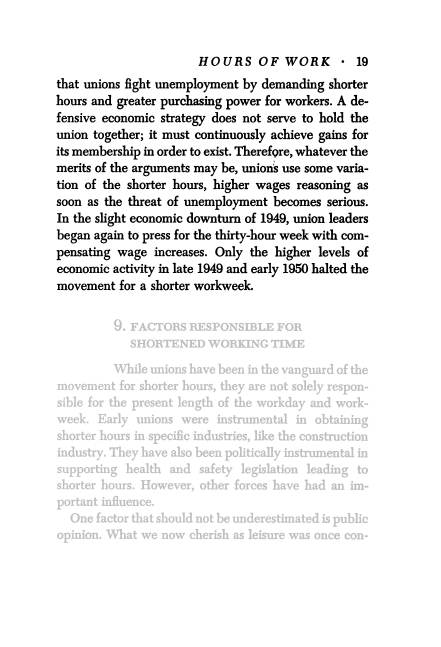 Labor Law Journal, April 1966, pp. 211-225. 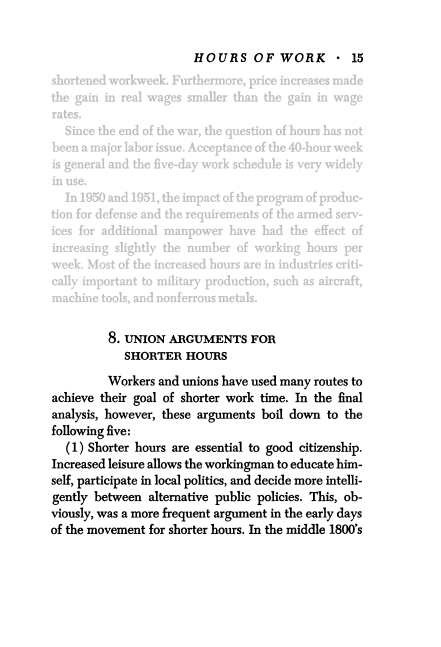 Foster presented a simple, non-lump model of shorter hours with improved productivity creating more employment. In each of his examples, "the standard workweek was reduced without a rise in unit labor costs." As Foster observed, "This should at least suggest that in principle hours reduction might indeed be an instrument by which to alleviate the unemployment problem and is worth further study." In a future post, I will explicate Foster's model. For those who think that economics is, above all, a method and not a subject matter, the centerpiece of the whole enterprise is utility. In the canonical set of models, individuals act to maximize their utility, and the purpose of economics is to identify the two-way relationship between factors that impinge on this choice procedure and the choices themselves. The external environment (institutions, policies, claims on resources, technology, preferences of other agents), combine with the decision-maker’s own preferences to generate a choice, and the choices of all the relevant agents cumulatively alter their shared environment. This is the program for all standard microeconomics and for microfounded macro. One convenient feature is that, if you use this approach, the same analysis that provides your positive explanations and predictions does double duty as a normative tool: maximizing utility is why people do things and also the goal to be sought after. A variant has appeared in the form of behavioral economics. In this approach, people are ascribed decision rules that vary from utility maximization—some form of “irrationality” due to limited cognitive resources, convenient heuristics, etc. The predictions cranked out by such models differ from those you get from utility maximization, and the normative task becomes that of devising clever tweaks so that predictably irrational behavior will nevertheless approximate a Pareto superior outcome. Behavioral economics takes one step away from the utility framework, but remains connected to it. Utility and its maximization remain the benchmark, and behavioral departures are defined in terms of the U-max requirements that are dropped or altered. If you step back, however, this continued fealty to utility is rather strange, since utility does not play either a positive or normative role in any school of thought within psychology, which is presumably the academic discipline that tells us most of what we know about human behavior. In formal terms, this is a problem of external consistency. Internal consistency is about whether the elements in a model are consistent with one another; you can test this with algebra. External consistency is about whether these elements are consistent with what is already known by those who work in other domains with other models. If you devise a heat pump based on a set of assumptions about how its components work, and one of these assumptions violates the Second Law of Thermodynamics, your design might be internally consistent but fail the external consistency test. That’s the state of economics today: it uses models which, if you accept their maintained assumptions, are internally consistent, but the assumptions are inconsistent with what research outside the discipline has demonstrated. Or to put it more crudely, if economics is right, psychology is wrong. Who are you going to believe if the question is about human behavior? I know what some of you are thinking: this is absurd because economists have accumulated mountains of evidence consistent with utility and utility maximization. And it’s true. The problem here is “is consistent with”: the evidence we have for economic behavior is generally consistent with a wide range of assumptions, one of which is utility maximization. If the price of something goes up people buy less of it. You could get that outcome from U-max but also from a number of other psychological mechanisms. When the predictions of U-max come into conflict with what other, more plausible mechanisms tell us, U-max generally performs worse. That’s why psychologists don’t push U-max as a preferred theory of how people think and act. That said, there is a valid use for utility, as a heuristic element in thought experiments. Take game theory, for instance. The analysis of strategic choice can get very complicated, and it’s helpful to construct models in which players attempt to maximize something we call utility; this helps us figure out the logical processes at work. That does not mean, however, that we should assume that real human beings in the real world are crunching out expected utility values of their choices, much less that the normative value of a game’s outcome can be assessed on the basis of how much utility participants are getting. A heuristic device is not a theoretical proposition; it’s just an aid to thought. The confusion between heuristics and theory runs deep in economics, I’m afraid. It’s difficult to find an article with even a smidgen of theoretical content that doesn't treat utility as if it were an actual psychic quantity whose pursuit motivates actual human decision-making. This is as much a problem on the micro side as the macro, and it’s hard to imagine how this can change any time soon. My only piece of advice is to stop thinking of economics as a normative enterprise at all, since nothing in their training prepares economists to have a special insight into what makes people better or worse off. Wealthier, yes; better off, no. If you can do that, you will at least abandon one of the main purposes behind unreflected utility-speak. Most Public Intellectuals Today Aren't Literati: Is That a Problem? I finally got around to reading the very long, very thin screed, “What’s Wrong with Public Intellectuals?” by Mark Greif, printed in last Friday's Chronicle of Higher Education. Greif longs for the golden age when elegant writing and clever thinking emanated from the pages of the Partisan Review. He tried to put the magic back in the can with n+1, but couldn’t find the authors he was seeking among the engagé professoriat. Well, I’m sorry that I have to be the one to say this, but times have changed. Back in the 1940s, if you were an intellectual drawn to political and social critique, you were a novelist, a poet or a critic. The social sciences were still getting on their feet, and the few people who could bridge the worlds of economics/sociology/political science/etc. and politics were also writers and critics—J. K. Galbraith (novelist), David Riesman and the like. A literary epoch. Today there are scads of public intellectuals using their social science chops to tackle the big themes of politics and culture. By and large, they are not literary stylists. They are active researchers, typically using abstruse methods to shed light on large or murky data sets. Their professional writing is incomprehensible to those without grounding in the relevant academic literatures. To reach a more general audience they are forced to commit the very sin that Greif excoriates, dumbing down. My problem is that my world has too many public intellectuals. I can spend all day reading fascinating blog posts by economists and other social scientists and postpone forever doing my own work. This writing does not have the literary flair (usually) that the finest writers are able to display, but the ideas are far more precise and engaged with empiricism than anything you will find in the archives of Partisan Review. You can learn more from a good day in the social science blogosphere than a year of reading Dwight Macdonald, and I actually like Dwight Macdonald. Being a superior writer is no longer a sufficient basis for expertise in culture and politics. Did Scott Walker Really Answer That Question About Evolution? Wisconsin Governor Scott Walker, very much the flavor of the day among many Republicans to be their nominee for president in 2016, managed to get somewhat embarrassed while visiting London recently, something that seems to have become a not uncommon occurrence among them. I must grant that much of what he was criticized for he had a good cover story for. He went out of his way not to say much of anything substantive in reply to any questions at a Chatham House forum, supposedly on foreign policy, where he mostly wanted to tout Wisconsin products such as cheese. He said that he did not wish to criticize current US foreign policy while on foreign soil, a not unreasonable and traditional position, although many think it was because he knows zip about foreign policy and did not want to get caught making some seriously silly snafu due to his ignorance. As it was, he got in trouble for something else. That something else was evolution. He was asked if he believes in it, and he replied by saying that he would like to "punt"on that. He was immediately taken to task for that and a lot of publicity about his non-answer on that one got around. He complained about the media attention to this, but obviously he could not claim that he was trying to maintain some formal unity about US foreign policy while on foreign soil with it. He subsequently produced a tweet on the matter that many declared was "just what he should have said in the first place," as if the tweet answered the question. However, it did not. His tweet said the following: "Both science & my faith dictate my belief that we are created by God. I believe that faith & science are compatible & go hand in hand." Does this answer the question? I do not see it doing so. It looks like a carefully crafted hedge to make it look like he might be on either side of the question, but I must say that the wording tends to tilt to the anti-evolution side. That is because he emphasized specifically the "created by God" point. Sure, saying that he thinks faith and science are "compatible" suggests that he does accept evolution, but he does not come right out and say so. I would certainly accept that one can believe in both God and evolution (heck, one can say that God simply directs or oversees evolution, cannot be disproven). But, he did not say that. Of course, this is the convenience of tweets: they are so short one does not have the time or space to fill things out, along with not facing any obvious pesky followup questions. I guess what bothers me here is Walker himself, along with how well he seems to be doing. I am from Wisconsin and have been following this college dropout for some time. I cannot think of a single thing he has done that I agree with that was not just something boilerplate that everybody does and agrees with. I shall not list all the stuff he has done that I do not like, because it is a long list, and I suppose I should not be prejudiced against college dropouts for becoming president, but among his latest actions are proposing a 13% cut in the University of Wisconsin system budget, along wiht a proposal that the state fund the building of a Milwaukee Bucks arena. The state is facing a fiscal crisis due to tax cuts aimed mostly at the rich he passed, imitating Brownback in Kansas, opining a la Laffer that this was going to stimulate the economy so much that there would no revenue problems, but in fact Wisconsin is performing more weakly in terms of growth and employment than its neighbors. But when push comes to shove, this lying ignoramus goes after higher education. So, there is indeed a broader issue here about science and public policy, with the trend of Republicans in particular pushing anti-scientific views on climate and evolution at the top of the worry list (although it must be admitted that some Dems have joined the anti-science team, see liberal anti-vaxxers and some other issues). Clearly Walker wants to try to elide the issue for the moment at the national level and keep his appeal to both the fundamentalist creationist crowd, while keeping the establishment big money people not too scared. But, I, for one do not see any reason to keep the heat off this guy, whom I think comes out of the Joe McCarthy wing of the Wisconsin Republican Party rather than its progressive wing, which dated to the founding of the Republican Party in 1854 in Ripon, Wisconsin, you know, the Abraham Lincoln wing of the party, now all but defunct. Update: Guess I should confess for any who do not know that I take attacks on the UW system more personally than those on others as I am an alum of the UW-Madison for both undergrad and grad school, as well as currently having a daughter there in grad school in neuroscience. So, I am especially resentful that this hypocrite's anti-higher ed agenda is aimed at my school. In the long run, does Israel have a viable alternative to peace and reconciliation? What if it remains surrounded by countries hostile to it, or that are home to hostile groups, or whose politics fluctuate between cautious cooperation and hostility? In other words, what if there are well-organized groups beyond Israel’s borders, but not too far beyond, who object to Israel’s policies, or even its existence, and refuse to accept defeat? Israel is vastly more powerful militarily than any country, group, or set of countries and groups that oppose it. It can defend its borders—build a giant fence in fact—and project violence at will throughout the region. Such superiority seems to have convinced a majority of Israelis that peace is optional. At the present time, the long-distance weapons available to Hamas, Hezbollah and other forces that take the Palestinian side in the Israel-Palestine dispute are inaccurate and largely ineffective. They cause enough damage to provoke retaliation and foster an understandable bunker solidarity among Jewish Israelis, but not more than this. That’s the situation now. What about several years from now? Small, toy-size weaponized drones are already within the means of private citizens. Smart guidance technology in ballistics can only become cheaper and more widely available as digital technology and GPS improve. Is it unrealistic to think that, in the not-distant future, it will become as possible for Israel’s opponents to target and execute individual Israelis as it is for Israel to locate and assassinate those on its hit list? What long run strategy makes sense of Israeli intransigence? In the summer of 1959, Loren Goldner and I hung out together at the City of Berkeley's Camp Cazadero. Loren called me "Stick" because I was skinny and because my last name was Walker. Walking stick > Stick Walker. I'm not sure if that was the year the boys' camp did a talent show skit based on exclamatory action comic book sound-effects words. 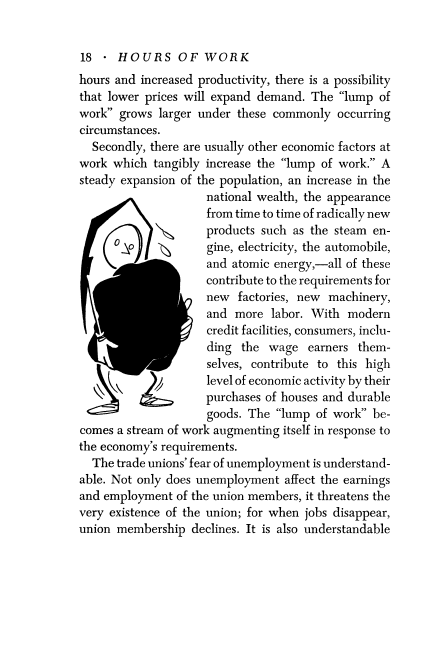 I should mention, in passing, that the editor of the pamphlet was Irving Bernstein, whose 1946 article "Labor and the Recovery Program" supplied a key detail for my post on "The Black bill, Green and the Blue Eagle."